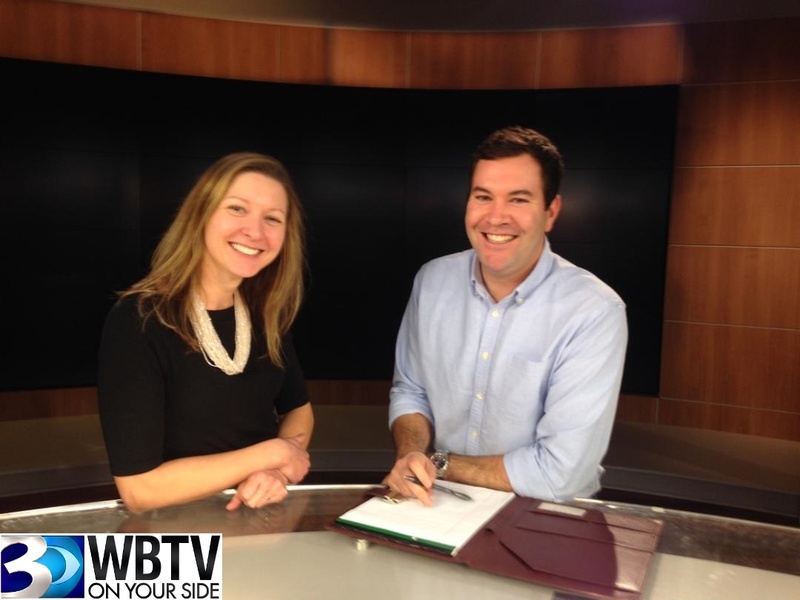 I recently had a chance to sit down with my long-time friend and former colleague Katie McKiever, who is now the Social Media Manager at WBTV (the local CBS affiliate). We all think about anchors and reporters at news stations but do you also consider those behind the scenes as well? What about the marketing and communication staff? I wanted to take a peek behind the curtain to see how Katie and her colleagues help WBTV be “on your side.” Spoiler alert: she offers some great pitching tips too (so be sure to make it to the end). Q: Katie! It’s been years since we last sat in a newsroom together as Business Wire employees. Your role here is much different from what it was back then; tell me about it. A: I love this job! As the social media manager I’m a part of the digital department, but I support three distinct areas–marketing, digital and TV. Q: I think our readers understand TV and digital, but explain how you support marketing. A: We ourselves are a brand. Of course our viewers are looking for the news that we cover, but we’ve got to make sure to do a good job of bringing awareness to WBTV too — whether that’s promoting one of our shows or anchors. It’s an interesting side to the job that most don’t necessarily think of. Q: How do you differentiate yourself from other Charlotte TV stations from a social perspective? A: Of course they’re doing social too, but what I think sets us apart is our voice. There may be similarities in the channels we use (Facebook, Twitter, Instagram and Pinterest) but it’s how we speak to and resonate with our audience. 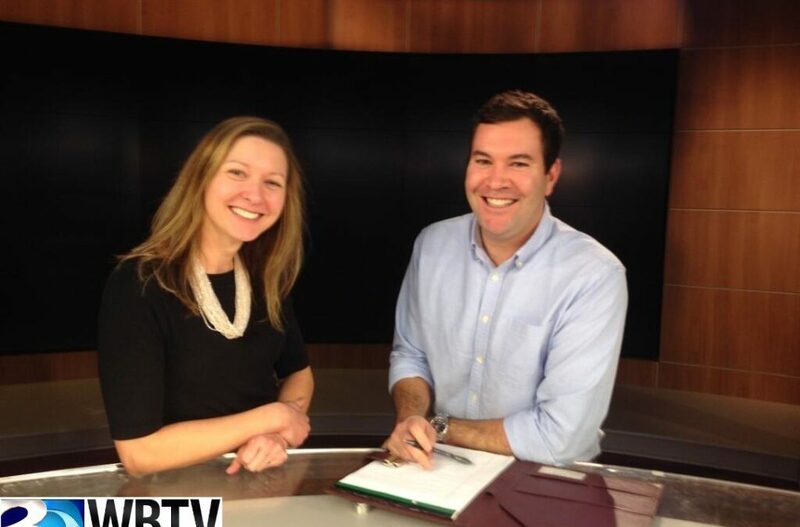 Q: Are you in charge of all employee channels or just the WBTV News and @KatieMcKiever? A: Our anchors, reporters and everyone else handle their own social accounts, but I’m here for guidance, coaching, providing updated information on how to use things like Twitter Polls, the appropriate timing to post, etc. I help them to be more strategic. Q: Can people pitch you directly or does it have to go through others in the newsroom first? A: Yes. Definitely pitch me! Sometimes I get information that I know won’t be a good fit for TV, but I know it will be well received from our social media followers and website audience. I get pitched all the time and I can send it to the right producers that might end up running with it on TV. Just depends on the news. Sometimes it’s right for social, sometimes our website and sometimes TV. I’ve developed a good feel for where things should be placed. Q: Tell me the value of digital and how it has grown. A: We can include so much more content on our website and social channels than we ever could on TV. Because we’re a TV station first, our digital platforms are sometimes considered secondary, but we have a large digital audience that continues to grow. The great thing about digital is that a lot of it is trackable. We have hard numbers and analytics behind every platform. It’s nice how our website and social channels feed off of each other; a good chunk of our website traffic comes from our social media. Q: I see you recently created a hashtag #WBTVandME. Tell me more about it. A: We created #WBTVandME as a way to connect with the community. People can use that hashtag when they’re out and about, especially at events, when they want to share something visual with us. Not only does it serve as a platform for us to share, but people can use it to pitch us as well! We may pick it up on our website or in a newscast too. It’s a great way for people to connect with us and vice versa. Q: Do you ever do just social posts or does it have to tie to a digital story? A: Sometimes we’ll post things just on social, but for the most part we’ll lead them back to a digital story. Q: Is there anything else you’d like to share with the average PR, marketing or small business owner in Charlotte? A: I can’t tell you how many times I’ve had to ask people for pictures. Please send at least one picture with your pitch especially if it’s a pitch to a digital/social reporter. Even if it’s just a logo or an event flier, I’ll take it. The more pictures the merrier! We do not like to post stories on our social media channels or our website without a photo and/or video. So send me as much as possible. Don’t forget to include your social handles on things like news releases. Get creative with your subject lines. Use a compelling quote! Grab my attention and make me want more. There’s a fine line between teasing a reporter and getting their attention or just being silly. A: I love all the Charlotte-centric information and how much everyone here loves Charlotte and this community. Sometimes I think the media gets a bad reputation, but I think WBTV does a great job of knowing when to draw the line and when not to get too flashy or sensationalize things. There’s a magic to television that’s still really fun. I catch myself watching in awe all the time.